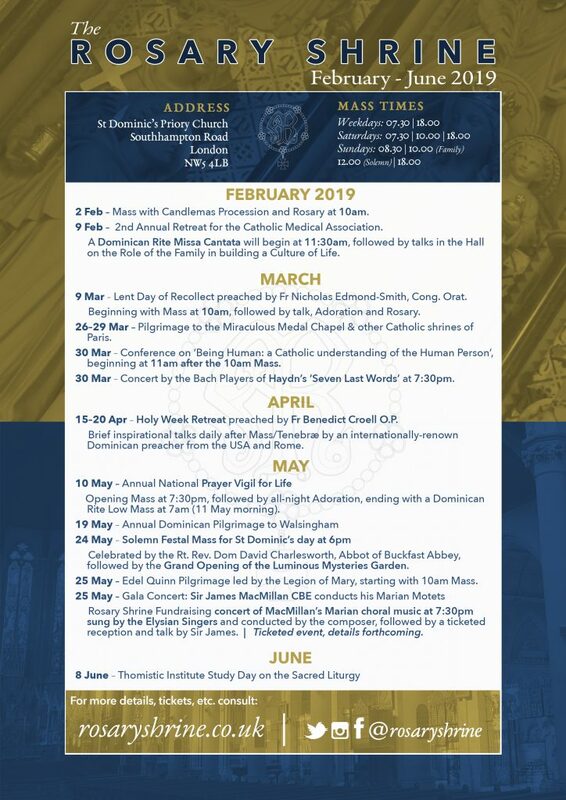 The Rosary Shrine released the list of events for February – June 2019; leaflets will be available in church from this Sunday. Among the highlights are a Pilgrimage to Paris in March, and the Holy Week retreat in April. May, the month of Our Lady, will be an important month with the annual Prayer Vigil for Life on 10 May, the Opening of our new Luminous Mysteries Rosary Garden on 24 May, and a Gala fund-raising concert on 25 May of Marian motets composed and conducted by Sir James MacMillan.